Eagles receiver messed up big time, so let's stop using hateful language. Riley Cooper, the name that launched a thousand opinions. Seriously, everyone from here to Baghdad — OK, maybe not that far — is talking about the Eagles’ receiver after he dropped the ultimate no-no, the Amanda Bynes of racial slurs. Cooper was back at practice Thursday dealing with the fallout. His teammates continued to support him. Cooper continued to apologize. Here’s a link to a piece I wrote about the situation for Metro Philadelphia. This story isn’t going away. It will pick up more steam if and when Cooper is named a starter. It will get steamier when the games begin starting with the preseason opener on Aug. 9. Then, it will reach its highest peak, when the Eagles play the Redskins in Washington, DC — on national TV, in prime-time. Riley Cooper is wearing football’s version of the Scarlet Letter. It will be interesting to see how he responds on the field. Remember, this guy isn’t exactly Mike Quick. Heck, he’s not even James Thrash. These next few weeks will define Riley Cooper’s career. Of course, it’s his bed. He made it, now he must lie in it. Cooper called a team meeting Wednesday night to say he was sorry. The hardest part will be re-gaining the trust of the locker room. Cooper has apologized to teammates. In my Metro piece, I declined to offer my opinion. Not because I’m scared. No, far from it. But I’ve been reprimanded in the past there for speaking my mind in print. Here, I have an open forum. If you know me, you know what’s coming. Racial slurs of any kind are disgusting and unacceptable. I cringed a bit watching “Django Unchained” with its overuse of the word in question. That being said, it’s not a new word. 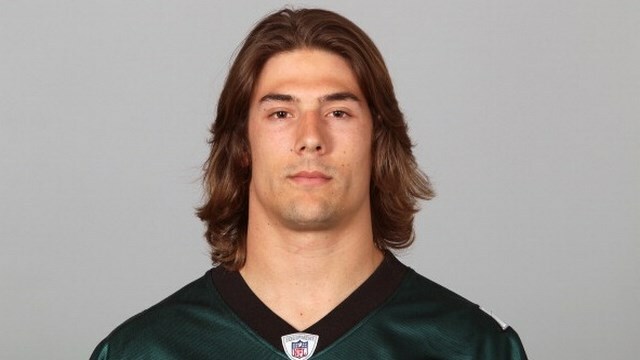 Sadly, the first time I watched the Riley Cooper clip, I wasn’t abhorred by it. Growing up Italian, I heard it often at various family functions. People I greatly admire (and still do) threw it around, not a lot, but on occasion. That was a part of life. Blame Mafia movies and Quentin Tarantino for corrupting our lexicon. Growing up Italian, I was also taught to love and respect all races. For many years, my mom would invite a black friend of hers over for Thanksgiving dinner. The topic of race rarely came up. If it did, so what? We had an intelligent, spirited conversation about it while devouring turkey. Some of the people participating had used the word before. But I can honestly say that no one sitting around that table even remotely resembled a racist. 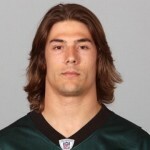 I don’t know if Riley Cooper is a racist. He’s a fourth-year wideout that was buried on the depth chart until Jeremy Maclin tore his ACL. He’s not a guy that reporters had been lining up to interview, so not much is known about his personal opinions. Perhaps the best person to query would be his college roommate … the infallible Tim Tebow. I do know that it is time to retire the N-word. Black, white, Asian, Hispanic … whatever. It’s an outdated term that should have died with Mark Twain and Charles Dickens. It adds nothing to any conversation, nothing to pop culture and absolutely nothing to athletic endeavors. Yet it continually pops up in our daily lives. As someone who obsesses about the hip-hop scene in this country, you could argue the N-word is on loop in my ear on a daily basis. So much so that I’ve grown numb to it — and yes, it has escaped my lips from time to time, especially when 2 Chainz lights up the track. No, I’m not going to stop listening to 2 Chainz. Or any other artist that chooses to use that language. But I will think twice before mouthing those words. And we all should. Cooper called it the “lowest of lows that I’ve ever experienced.” The Eagles have instructed him to undergo sensitivity training. They won’t cut him, but the team has fined him at least $37,058. The goal is to make him a better person, and maybe the Eagles will. Remember, the organization did wonders with Mike Vick. He’s been a model citizen. Cooper already said he plans to meet with the black security guard that he offended and apologize. That’s a start. Make no mistake about it, Cooper is at fault here. No one is disputing that. But maybe society itself needs to take some responsibility, too. Maybe we need to create some kind of racial slur jar, like the old swear jar your grandmother threatened you with, where people are fined each time they degrade another human being. Maybe if we had retired this word from the English language a century ago, there would be no situation to explain. We all must retire the “N word” . That includes those who it offends the most because if they use it daily, sometimes constantly, while talking to each other, it will be used by those around them and thought of as normal. Good point, Marge. If people use it and then say they’re also offended by it, it’s tough to justify that.